Three Oxford undergraduate roommates scheme to find a way to date two closely watched young ladies. The lovely ladies, Kitty Verdun (Arleen Whelan) and Amy Spettigue (Anne Baxter), have a watchful ward who demands that they be chaperoned at all times. 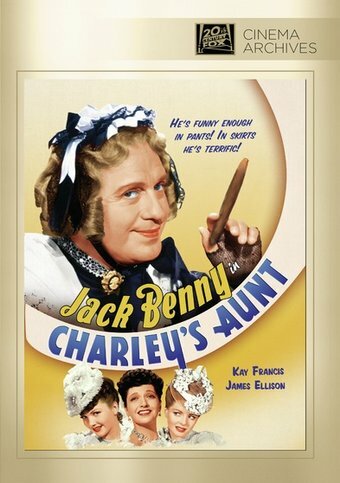 Thus Jack Chesney (James Ellison) and Charley Wyckham (Richard Haydn) convince their third roommate Babbs Babberley (Jack Benny) to dress in drag and pretend to be Charley's Brazilian aunt Donna Lucia, who will accompany the boys on their dates. Comedy ensues when both the ward and Jack Chesney's father fall madly in love with Babbs in drag, that is until the real Donna Lucia (Kay Francis) shows up.